In the folk tradition of Kashmir, Ladi Shah were traveling minstrels who employed satire and song to address the social and political views of their time. The Ladi Shah Project was conceived to record and share the voices of Kashmiris, too often lost amidst the ongoing conflict in the region. By documenting the pivotal memories, compelling stories and everyday experiences of Kashmiris, the Ladi Shah Project seeks to preserve Kashmir’s dynamic oral history and culture. On July 8, 2011, renowned actor and King of Kashmiri Comedy, Nazir Josh, spoke to the Ladi Shah Project about his iconic role as Ahed Raza in the 52-episode television series Hazaar Dastaan (A Thousand Tales). Mr. Josh conceived of and produced the show-a political satire that became a cultural phenomenon in the 1980s-with his brother, director Bashir Budgami. Fans of the hit series won't want to miss Ahed Raza's guest appearance, and his important message for Kashmiris. The multi-talented Mr. Josh also demonstrates his parodying prowess with his unique interpretations of the English sonnet and rap music. On July 8, 2011, Bashir Budgami, producer and director of the acclaimed telefilms Habba Khatoon and Rasul Mir, provided the Ladi Shah Project with a behind-the-scenes glimpse into early Kashmiri cinema. Mr. Budgami also spoke about his experience directing the popular television series Hazaar Dastaan (A Thousand Tales), and the robust tradition of Kashmiri folk theatre from which it evolved. 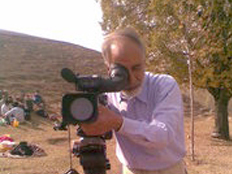 On June 17, 2011, the Ladi Shah Project interviewed Fida Hussnain, Director of Archives, Archaeology, Research and Museums for Jammu and Kashmir from 1954 to 1983. The author of more than thirty books on Kashmiri history, Dr. Hussnain spoke about the region's rich heritage, including intriguing archaeological discoveries such as the Lolab Caves and the Tiles of Harwan, as well as manuscripts dating from 1724 that are preserved in the state archives. A Sufi, Dr. Hussnain also discussed the influence of eclectic religious traditions, particularly mysticism, on Kashmiri culture. A lifelong resident of downtown Srinagar, Haji Abdul Sattar Gagroo is one of the oldest milkmen in the city. On July 27, 2011, Mr. Gagroo spoke to the Ladi Shah Project about his experience growing up in the political and cultural hub of Kashmir during a period of tremendous transformation. A graduate of Islamia High School, Mr. Gagroo recalled how the historic institution - where, interestingly enough, many Kashmir Pandits taught - incubated numerous notable figures. Mr. Gagroo also spoke about how, following the footsteps of his forefathers, he learned his trade, and the dairy industry's dramatic departure from its pre-industrial roots. 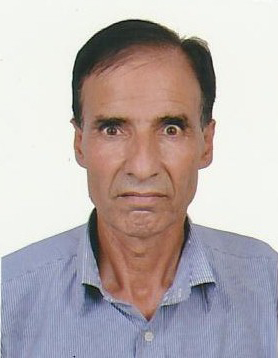 On July 26, 2011, the Ladi Shah Project interviewed Ali Mohammad Hajam from Sopore. 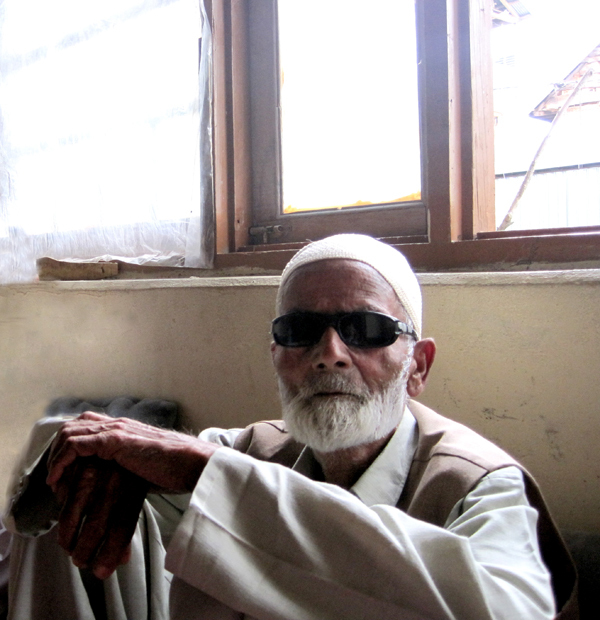 A hundred years old, Mr. Hajam spoke about the changes he has witnessed in Kashmir over the past century. Mr. Hajam also talked about his youthhow poverty prevented him from going to school, his work as a barber, and the memorable boat ride that he took on his wedding day to meet his bride. Help us to record and share more stories. Donate now. Thank you for your support. 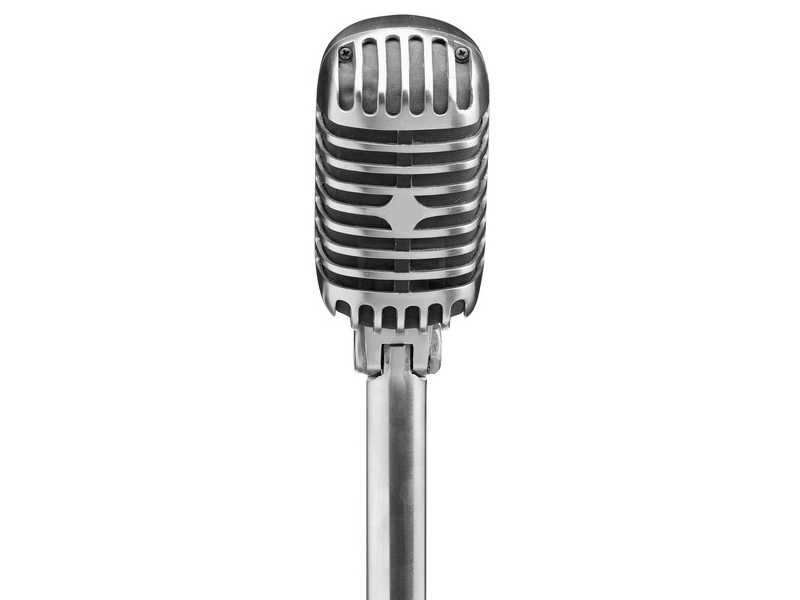 If you have a story to share, please click here. Would you like to be informed as new stories are added?